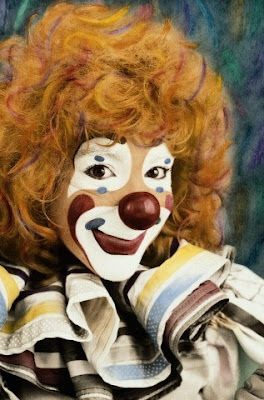 The trailer for the upcoming premier of the documentary CLOWNFEST: FIVE DAYS IN THE ALLEY shot on location at Vince Pagliano's annual Clownfest in Seaside Heights, NJ. Danson in action on the boardwalk in Seaside Heights, NJ in the summer of 2008. I have never seen him do this bit myself. My old friend Robert Gileski (whom I worked with at Chuck E. Cheese's in high school) hipped me to this. I have GOT to catch this live! 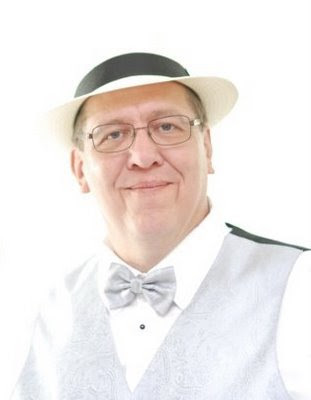 Today would have been the 53rd birthday of my good friend Jim Clark who passed away unexpectedly last December. My family and I think of him every day and miss him very, very much. It has been determined that the baby has a transposition of the great arteries of the heart (for more on what that is, click here) which will require a corrective surgery right after birth with the possibility of more surgeries down the road. It's not the news that any parent wants to hear but, given all of the things that could be wrong, we'll gladly take this one. Everything else is fine with the pregnancy and both mother and child are fine otherwise. We visited with the Pediatric Cardiology team at CHoP (Children's Hospital of Philadelphia) this morning. As we stepped off the elevator on the 5th floor we saw several large, colorful photographs which immediately told us that we were in the right place. They were all done by our friend, Debbie Gilbert. Thank you, Debbie. You helped make today much easier for us, as I'm sure that your work has for many other families in difficult circumstances. (c) Debbie Gilbert, used with permission. Do not reproduce without the express written consent of the copyright holder. 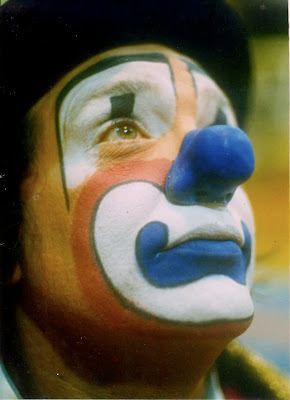 A great Paul Gutheil photo that, to me, shows EXACTLY what a grotesque auguste American circus clown should look like. I seriously doubt that we'll see any more of them once the small handful left retire. The whitefaces and tramps are all gone and soon the augustes will join them. 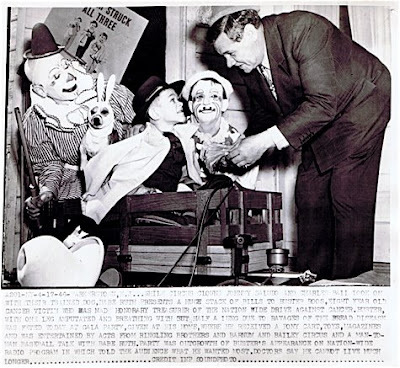 Charlie Bell and Frankie Saluto join Babe Ruth in visiting Buster Roos, an eight year old boy with cancer. Here's a rumination on Mr. Fox for you! Show's how strongly his Humpty Dumpty still resonated with audiences by that time. Recorded in Pathe Studios London sometime in the early 30s.